State Bank of India SBI – www.sbi.co.in – is inviting applications from eligible Indian Citizens for appointment as (i) Junior Associate (Customer Support & Sales) (ii) Junior Agricultural Associates in clerical cadre in State Bank of India. Candidates can apply for vacancies in one State and for one post only. Mains Exams are scheduled to be held on 25 & 26 June 2016. Note : Those who are in the final Semester/ year of Graduation may also apply provisionally subject to the condition that, if called for interview/joining, they will have to produce proof of having passed the Graduation Examination on or before 30.06.2016. Candidates having integrated dual degree (IDD) certificate should ensure that the date of passing the IDD is on or before 30.06.2016. Candidates should be able to write and speak English. Test of Knowledge of Official / Local Language : Those who produce 10th standard mark sheet/certificate evidencing having studied official (local) language will not be subjected to any Language test. In case of others, language test will be conducted at the time of interview (if interview is held) /before final selection (if interview is not held). Candidates not found to be proficient in official and/or local language would be disqualified. Last date to apply is 25 April 2016.Tentative date of examination is May / June 2016. When will the SBI PO notification will release ? The registrations for SBI PO 2016-17 Recruitment ? Please reply ! 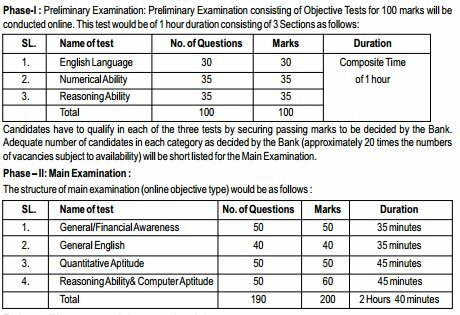 when will be held exam of sbi clerical cadre ?